Ciro buys more than he bargained for when he purchases a slave capable of bypassing the brand suppressing her magic. He drags her on a journey with him to learn her secrets, but his own may kill them both. Gods In The Grey City has not been tagged yet. 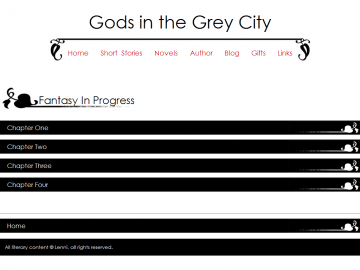 Help others find Gods In The Grey City by tagging it! Gods In The Grey City has not been reviewed yet. Gods In The Grey City has not been recommended yet.